Novak Djokovic’s defensive skills are breathtaking. Today the Serb defeated Japanese Ace and 6th-seed Kei Nishikori 6-3 6-3 to win the 2016 Miami Open. A majority of players who face the speed and firepower of a player like Nishikori eventually struggle to get the ball back in the court. But Djokovic is on another level. The most impressive thing about Djokovic’s game is his ability to retrieve balls seemingly out of his range and hit them back deep. Virtually every single time. 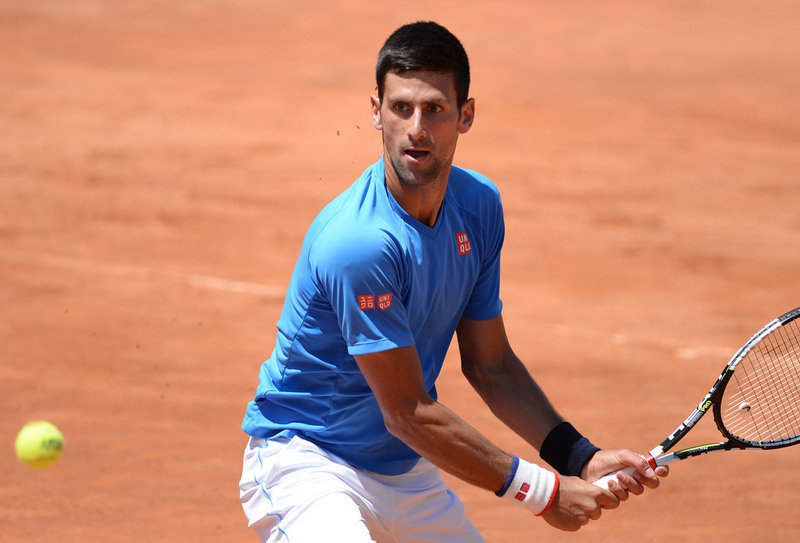 Not only does Djokovic get his racket on precise and powerfully-struck shots, he manages to get into position to hit a well-balanced, deep ball that puts him back into the point, usually with the advantage. Djokovic’s ability to turn defense into offense is attributable to a few key skills that I like to call the 3-Fs. Djokovic’s footwork is world-class. Watch his feet and notice the intensity of the movement, the efficiency of the direction of his movement, and his footspeed. His positioning before striking a ball on the run is better than most of us have on shots three feet away from us. And Djokovic remains astonishingly balanced after he strikes a ball on the dead run. Take-away: Focus on getting into a balanced and optimal position to hit running balls, and on remaining balanced through the end of your shot. This balance will allow you to recover as quickly as possible and get to the next ball. Djokovic is probably the most flexible tennis player of all-time. His spot atop the rankings and his superior flexibility go hand-in-hand. Djokovic’s ability to stretch his body to track down balls in pressure situations and do the splits in-between running corner to corner is a testament to his enhanced flexibility. In fact, world-class sports performance specialist Allistair McCaw, who I interviewed on Episode 11 of the Tennis Files Podcast, says that Djokovic’s flexibility is one of the main reasons why he is #1 in the world. Allistair has trained grand-slam champions and top tennis professionals, from 2016 Miami Open runner-up Svetlana Kuznetsova, to top South African player Kevin Anderson. Take-away: Perform dynamic stretches before your matches and practices, and static stretches afterwards. Do not neglect your stretches. Commit to a manageable stretch routine, such as 4-5 stretches pre and post play, and you will be astonished at how much better your body will feel and your increased flexibility moving forward. Djokovic is mentally strong. He wills himself to every ball, knowing that he is capable of getting to any shot and hitting it back efficiently and effectively. Djokovic’s fitness is also superior. He trains harder than any player on tour and does everything he can to put himself in a position to succeed. As Allistair likes to say, he commits to the one-percents. Djokovic does the little things right, because they add up to big-time results. Take-away: Practice your game with a determined work-ethic and you will develop mental and physical fortitude. Commit to the one-percents, to doing the small things correctly, and you will gain the edge you need to reach your potential. The margins in tennis matches are razor-thin, and you need every single advantage you can get to win them. Next time, you will make that running forehand on match point. If you work on the 3-Fs, your footwork, flexibility, and fortitude, your chances of making it isn’t too much of a stretch.